Each Halloween season, PhotoTouch partners with haunted houses across the United States to capture the fear and fun of guests visiting various “haunted” locations. As seasonal locations, the PhotoTouch system helps to keep these haunted houses alive in the mind of guests post-Halloween by creating a branded, photo memory of each visit. Custom PhotoTouch systems were implemented at each location to provide a way to photograph guests as they experience each haunted house. While photo set ups vary from location to location, each solution allows guests to view and share a photo of themselves post-visit. Nightmare on 13th in Salt Lake City – more than 32,000 photos were uploaded, with 16,566 downloads and 5,000 social views. Haunted Pontiac in Pontiac, Michigan – 11,700 photo uploads over the course of its month long haunted house, receiving 3,000 social views. Pennhurst Haunted House in Philadelphia – 3,345 uploads of branded photos and more than 3,200 logins. 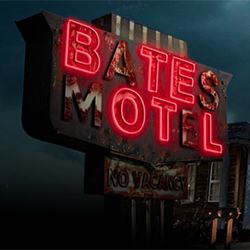 Bates Motel and Haunted Hayride near Philadelphia – more than 4,200 uploads and 1,100 social views. The PhotoTouch system was also able to help drive more than 2,000 branded photo views on thebatesmotel.com.